The Bristol Bay Fly Fishing & Guide Academy (formerly the Bristol Bay River Academy) merges salmon and river education, with recreation and conservation principles to educate, engage and inspire Bristol Bay young adults to become local leaders in salmon stewardship and prepared for jobs based on healthy salmon in their home rivers. The river-side course prepares young local leaders by equipping them with the knowledge, values and skills necessary to be conservation advocates in their communities and link visitors to the salmon and trout conservation issues in the region. The Academy accomplishes this in two primary ways. Biologists and river ecologists teach participants about salmon and their lifecycle and habitat needs, river morphology, ecology and the importance of riparian areas, and salmon management practices. In addition, the course explores salmon conservation issues and opportunities by helping students navigate their personal and community values, engaging them in conservation problem solving activities, and focusing attention on specific projects they could implement to help ensure healthy salmon populations in their home rivers. 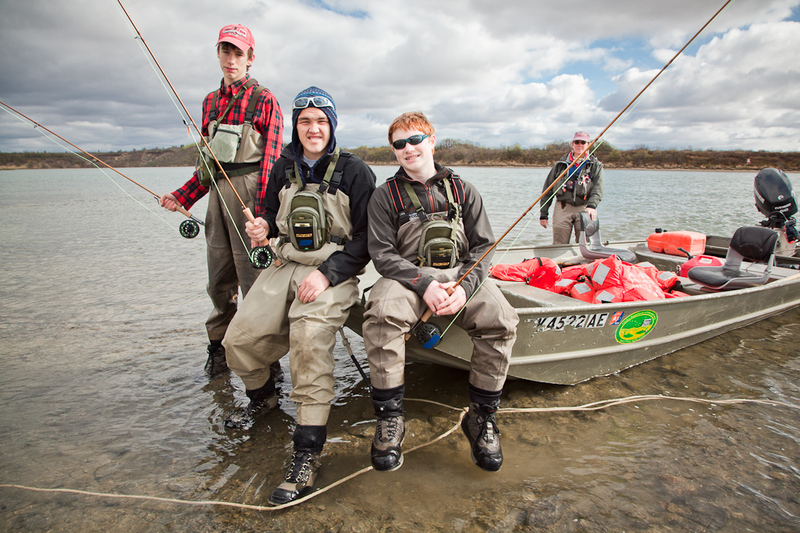 Expert fly anglers work with students to prepare them for potentially pursuing jobs in the sport-fishing industry that is growing in the region. By improving their fishing skills, teaching responsible angling practices, building their skills in visitor service etiquette and discussing sustainable local salmon-based job opportunities the course prepares students for jobs in blossoming small-scale tourism industry. Many people in rural Alaskan communities find it hard to secure employment and a solid income while maintaining the cultural and lifestyle values that in Bristol Bay, revolve around salmon. If residents are able to find good jobs, and those jobs are based on healthy salmon populations it is more likely that actions to conserve salmon (and their jobs) will be implemented. For detailed information about the Bristol Bay Fly Fishing & Guide Academy and for insight on how you might start a program like this on your home rivers download our Guidebook here: BBRAGuidebook.e.2012. Hello All, I would like to hire a graduate for a one to one fly fishing class in Bristol. I would much appreciate if you can contact me with your telephone number including and rate.